UNITED NATIONS, May 5 2015 (IPS) - It’s called the urban survival gap – fuelled by the growing inequality between rich and poor in both developing and developed countries – and it literally determines whether millions of infants will live or die before their fifth birthday. Speaking from the launch at U.N. Headquarters, Carolyn Miles, president and CEO of Save the Children, said that for the first time in history, more families are moving into cities to give their children a better life. But this shift from a rural to an urban society has increased disparities within cities. “Our report reveals a devastating child survival divide between the haves and have-nots, telling a tale of two cities among urban communities around the world, including the United States,” Miles added. The document estimates that 54 percent of the world’s population lives in urban areas, and by 2050 the concentration of people in cities will increase to 66 percent, especially in Asia and Africa. 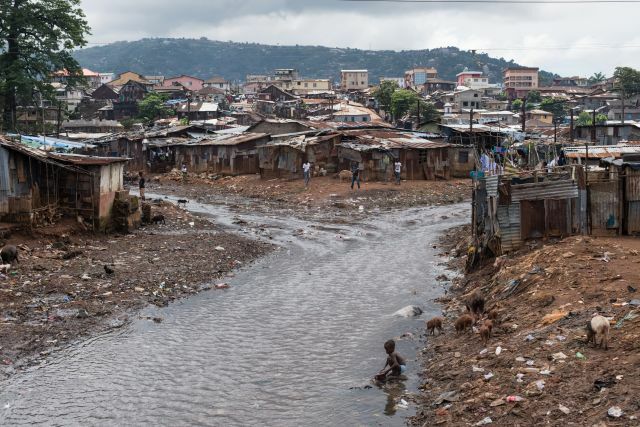 The World Health Organisation (WHO) says that nearly a billion people live in urban slums, shantytowns, on sidewalks, under bridges and along railroad tracks. While women living in cities may have easier access to primary health care, including hospitals, many governments have been unable to keep up with this rapid urban growth. One-third of all urban residents – over 860 million people – live in slums where they face lack of clean water and sanitation, alongside rampant malnutrition. 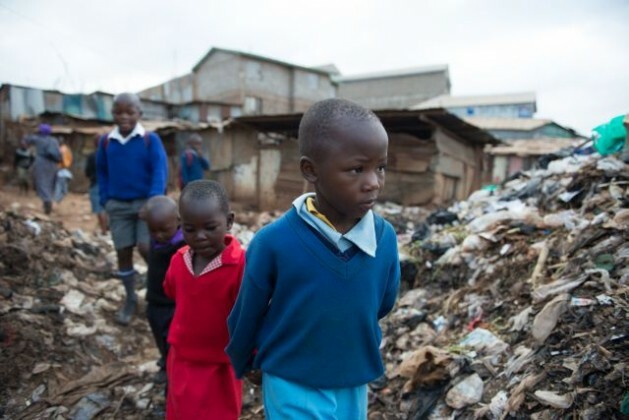 Miles said that despite the progress made on reducing urban under-five mortality around the world, the survival divide between rich and poor children in cities is growing even faster than that of poor children in rural areas. In most of the developing nations surveyed, children living at the bottom 20 percent of the socioeconomic ladder are twice as likely to die as children in the richest 20 percent, and in some cities, the disparity is much higher. Robert Clay, vice president of the health and nutrition at Save the Children, explained that urban poor are more transient, as they tend to have unsteady jobs and living situations. In rural areas, many people at least have land and food, and a stronger support system within the community. “In urban areas this doesn’t exist. Urban cities are overcrowded by many ethnic groups living side by side so it’s a bit harder to bond, communicate and build trust. It’s the hidden population that is more problematic to reach,” Clay told IPS. He said lack of data makes it harder for charities like Save the Children, or national and municipal governments, to access these marginalised communities. The 10 developing countries with the largest child survival divide are Bangladesh, Cambodia, Ghana, Kenya, India, Madagascar, Nigeria, Peru, Rwanda and Vietnam. Among the 10 worst wealthy capital cities for child survival, out of the 25 studied, Washington D.C. (U.S.) was number one, followed by Vienna (Austria), Bern (Switzerland), Warsaw (Poland), and Athens (Greece). By looking at the mother’s index rankings of 2015, based on five criteria – maternal health, children’s well-being, educational status, economic status and women political status, Save the Children says that conditions for mothers and their children in the 10 bottom-ranked countries – all but two of them in West and Central Africa – are dramatic, as nations struggle to provide the basic infrastructure for the health and wellness of their citizens. “On average, in these countries one woman out of 30 dies from pregnancy-related causes, and one child out of eight dies before his or her fifth birthday,” Miles said. Globally, under-five mortality rates have declined, from 90 to 46 deaths per 1,000 live births. However, these numbers, says the organisation, mask the fact that child survival is strictly linked to family wealth, and miss addressing the conditions of poverty and unhealthy life of slums. Positively, the report has also uncovered some successful solutions found by governments to reduce maternal and infant mortality, and close the inequality gap between rich and poor children in their own countries. The most successful countries are Ethiopia (Addis Ababa), Egypt (Cairo), Guatemala (Guatemala City), Uganda (Kampala), Philippines (Manila) and Cambodia (Phnom Penh). “Ethiopia, which recently had accelerated economic growth, managed to develop effective targeting policies, and provided accessible preventive and curative health care for poor mothers and children,” Clay said. “[Ethiopia] should be a blueprint for other countries, which should bring access to communities in slums so that local people are not left behind,” he underlined, adding that hiring urban outreach workers who can go into the communities, speak the language of the people living there and understand their conditions and needs is vital. Save the Children is calling on national governments worldwide to find new policies and plans to invest in a universal maternal and infant health care, develop cross-sectoral urban plans, and reduce urban disadvantages, and to increase the focus on the Sustainable Development Goals in the post-2015 development agenda, concluded Miles.